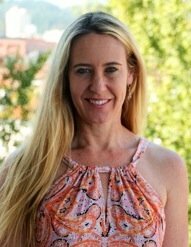 Dr Sharyn Allyson LAc holds a Doctorate Degree in Acupuncture and Oriental Medicine from the Oregon College of Oriental Medicine and completed her thesis on erectile dysfunction. 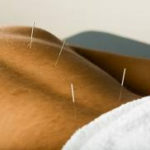 One of the leading acupuncture practitioners in men’s health here in Portland Oregon she offers treatments and educational services to clients and acupuncture practitioners. Dr Allyson is from Australia and spent two years in China prior to completing her education here in Oregon. She has developed an easy to understand way of explaining how acupuncture and Chinese medicine can help with men’s health concerns and breaks down the complicated medical terms so that you as a client can comprehend them. Using acupuncture and herbal medicine, Sharyn treats many aspects concerning men’s health, including: stress, fatigue, digestive complaints, musculoskeletal pain, reproductive and sexual health, prostate concerns, and urinary difficulties. We will work together to create a comfortable space so that you can enjoy your health and vitality.